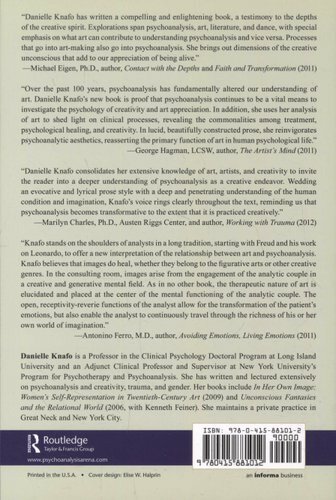 In writing and lecturing over the past two decades on the relationship between psychoanalysis and art, Danielle Knafo has demonstrated the many ways in which these two disciplines inform and illuminate each other. This book continues that discussion, emphasizing how the creative process in psychoanalysis and art utilizes the unconscious in a quest for transformation and healing. Part one of the book presents case studies to show how free association, transference, dream work, regression, altered states of consciousness, trauma, and solitude function as creative tools for analyst, patient, and artist. Knafo uses the metaphor of dance to describe therapeutic action, the back-and-forth movement between therapist and patient, past and present, containment and release, and conscious and unconscious thought. 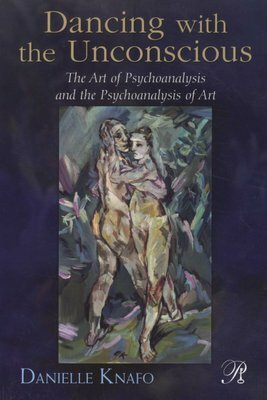 The analytic couple is both artist and medium, and the dance they do together is a dynamic representation of the boundless creativity of the unconscious mind. Part two of the book offers in-depth studies of several artists to illustrate how they employ various media for self-expression and self-creation. Knafo shows how artists, though mostly creating in solitude, are frequently engaged in significant relational proceses that attempt rapprochement with internalized objects and repair of psychic injury. Dancing with the Unconscious expands the theoretical dimension of psychoanalysis while offering the clinician ways to realize greater creativity in work with patients.